A master of science in nursing (MSN) is a graduate degree that enables nurses to further their careers in advanced fields like nursing administration, nursing education, and family practice nursing. The MSN degree is a prerequisite for registered nurses (RNs) to assume specialized roles with higher earning potential, like nurse practitioner and nurse anesthetist. 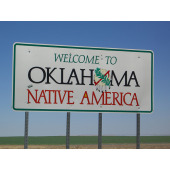 For example, Oklahoma’s RNs earn a median annual salary of $57,000. By comparison, the state’s nurse practitioners earn $81,000 per year, and its nurse anesthetists receive $165,000 in annual compensation. We’ve profiled below several of the best MSN programs in Oklahoma. Oklahoma Baptist’s MSN program offers a flexible online option for working students. The university offers an MSN specialization in nursing education, targeted towards RNs who wish to coach future generations of nursing students. The MSN in Global Nursing track prepares students to assume leadership roles in international health organizations. Oklahoma Wesleyan’s MSN program requires 12 hours of core courses for all students and 21 hours of specialized courses in either nursing administration or nursing education. In order to graduate, a student must complete all 33 hours of the required curriculum and maintain a minimum cumulative GPA of 3.0. This university offers two majors for its MSN degree: nursing education and nursing leadership. Each track consists of 18 core credits and 15 specialized credits. RNs who hold a bachelor’s degree in a non-nursing field can undertake an alternate option, where they complete entrance requirements through a portfolio process. To complement this list, we have profiled below a number of additional MSN programs in Oklahoma.